We are delighted to announce that the Library has been awarded £40,000 by the National Cataloguing Grants Programme for Archives to undertake a major new project, ‘What the Papers Say: The Editorial Correspondence of C.P. Scott in the Guardian Archive’. 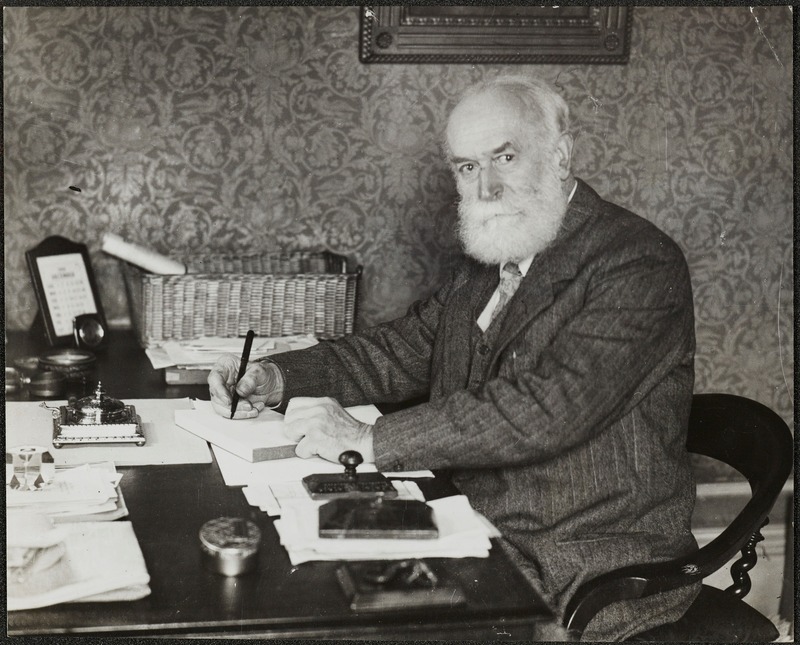 The Guardian Archive is one of the largest and most significant collections held by the Library, and at its heart is the correspondence of Charles Prestwich Scott (1846-1932), who edited the newspaper from 1872 to 1929. Probably the most important figure in the history of the Guardian, Scott was responsible for transforming it from a provincial journal into a newspaper of national and international standing. Politically, he pursued a consistently left-of-centre editorial stance during his 57 years in office, even in the face of public hostility – championing Irish Home Rule, condeming the excesses of imperialism, and criticising British policy in South Africa before and during the Boer War. He was an influential figure in Liberal circles – not just through his editorship of a Liberal newspaper; he was also president of Manchester Liberal Federation and for 11 years served as a Liberal MP. C.P. Scott. Image reproduced courtesy of Guardian News and Media Ltd.
As regular readers of this blog will know, we have recently been engaged in various initiatives to improve our documentation of the Guardian Archive, including a current project funded by the Business Archives Council to enhance the records relating to staff and contributors to the newspaper. This new grant from the National Cataloguing Grants Programme will enable us to undertake a 12-month project focusing on the 13,000 letters which make up Scott’s Editorial Correspondence. There are letters from 1,300 individuals, including leading statesmen and politicians such as Herbert Asquith, David Lloyd George, Winston Churchill and Ramsay MacDonald. Scott’s interest in issues such as women’s suffrage, Irish nationalism and the establishment of a Jewish homeland is also illuminated in correspondence with figures like suffragette Emmeline Pankhurst, Irish nationalist Sir Roger Casement, and Zionist Chaim Weizmann. Currently Scott’s editorial correspondence is very poorly documented, and our project to produce a detailed catalogue of these letters will really open up the archive both for researchers and for a wealth of other uses. We hope to launch the project in March 2016 with the appointment of a project archivist and a team of volunteers. There will be regular blog posts, and we’ll be running several public events during the course of the project, so watch this space for updates! The NCGP is generously supported by The Pilgrim Trust, The Foyle Foundation, The Wolfson Foundation, The Monument Trust, The Gladys Krieble Delmas Foundation, The Mercers Company Charitable Foundation, The Goldsmiths Company, The J Paul Getty Jnr Charitable Trust and The Andrew W Mellon Foundation.